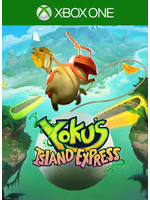 Team 17 sent us a review code for Yoku's Island Express and we are allowed to share a few preview videos showing the very beginning of the adventure. 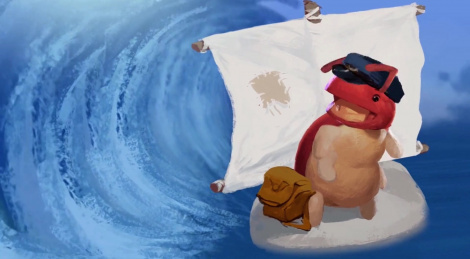 Villa Gorilla's title is the improbable mix between a platformer and a pinball game in which exploration is key. The inclusion of Metroidvania elements is just as surprising but they make sense since the game is actually open world. With its cute art style and catchy soundtrack, Yoku's Island seems promising enough for us to propose a bunch of videos today. Let's hope it does not disappoint us by the time we complete it and the review embargo lifts, on May 29. Been in love with this game ever since an EuroGamer preview and an Easy Allies preview made by Don Casanova, which really highlighted the game's features. Thanks for making these videos and bringing it's release date to my attention, had forgotten it was about to be released. Will look forward to Gamersyde's review next week.